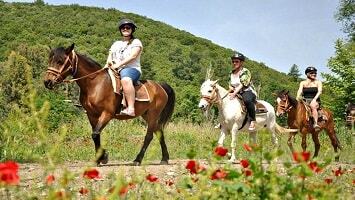 Get ready to explore Taurus Mountains and its surroundings with the most adventurous and exciting way! The Side Cabrio Safari excursion is ideal for those who seek an alternative way to explore the history, culture and natural beauty of the countryside. Dusty roads, water fights, mountain views, lakes and villages are some of the things you should expect from this full-day excursion. Side Cabrio Safari begins in the morning, when our team members pick you up from your hotel. The first stop of your excursion will be at a local mosque which is located at Manavgat. 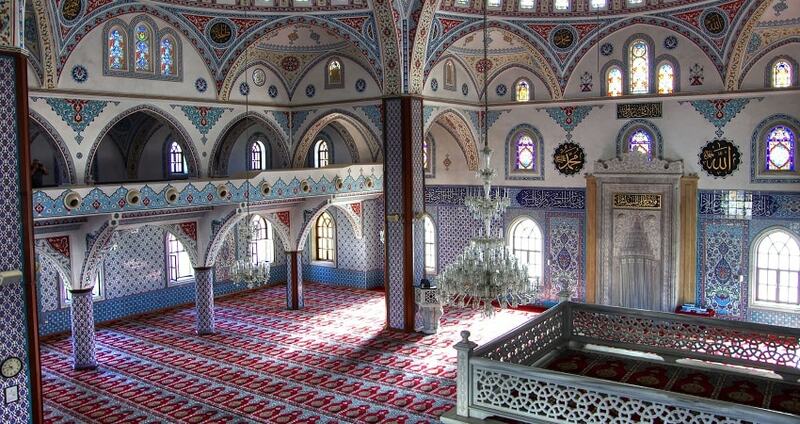 Feel the mysticism that this mosque is able to transmit to you and learn interesting information about it. What follows is a stop at the Manavgat Waterfall. You will be given 30 minutes to explore and admire the natural wonder the Waterfall creates. It is also an ideal spot for amazing photos, so make sure that you are having a camera with you. The adventure continues with an off-road safari. 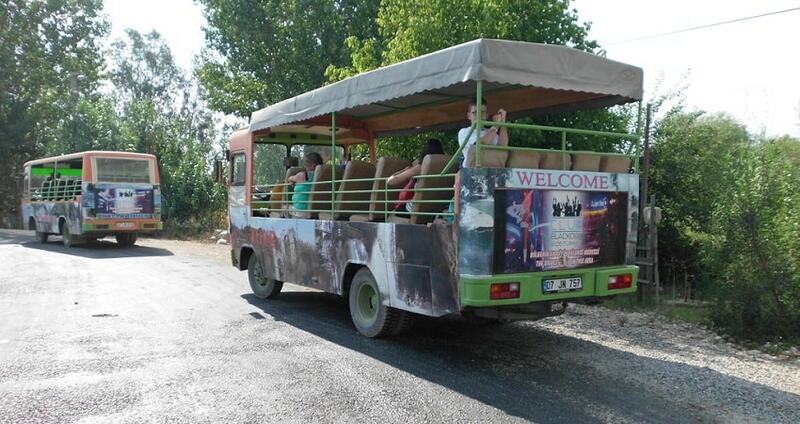 The vehicle will be driving on dusty and wet, countryside roads until you reach the village where your next stop is. At the village you will visit a tea garden and have the opportunity to try some tasty gözleme, which is the traditional Turkish pancake. 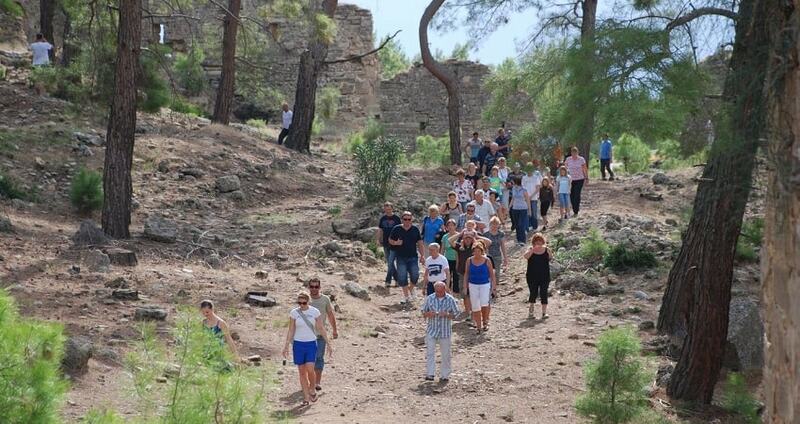 Take a short break to relax because the tour continues to the Ancient City of Seleukeia. Your guide will provide a detailed brief about the city’s history as well as other important information about the location. 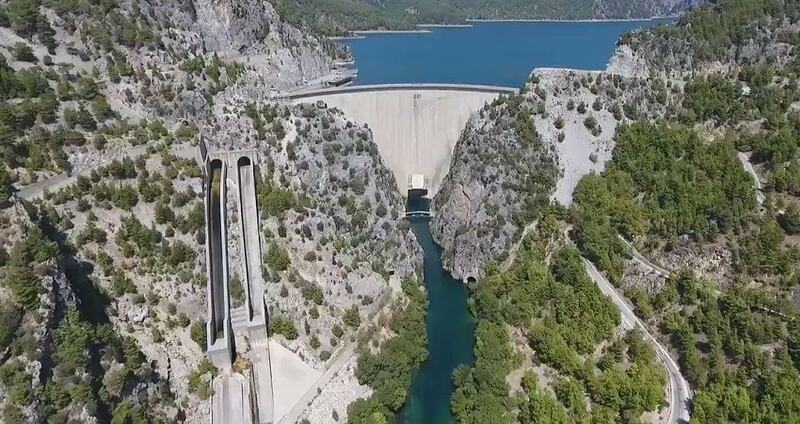 Then, the off-road driving continues and during the route you will have multiple short stops where you can see and learn information about the 1800-year-old Naras Bridge, Roman Aqueducts and Oymapınar Dam. Your off-road safari will then head the Green Canyon where launch will take place. At a lake-side local restaurant, lunch will be offered that includes grilled fish or chicken or meatballs, rice, pasta, salad and fruits. Once the meal is finished, you will be spending 1 hour and 30 minutes of free time at this amazing location. 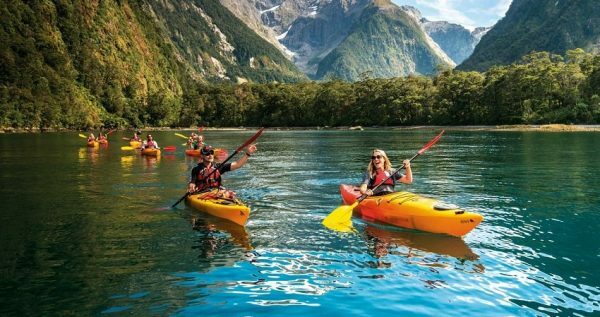 There are many available activities to spend your time like swimming, kayak and fishing. All the equipment is offered for free from the restaurant’s facilities. The last stop of the Side Cabrio Safari is a mini zoo. It is a great opportunity to take few photos since the mini zoo is located in the middle of the forest and hosts some rare animals. Then, you continue on your way back. The excursion ends by the time you reach your hotel during the afternoon. Hat, Sun Cream, Sunglasses, Camera, Comfortable Shoes. 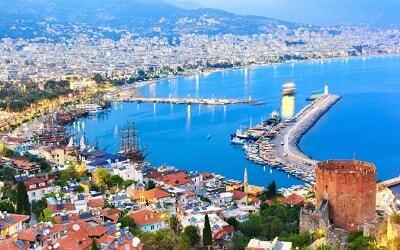 You can check all avaiable Excursions in Side from here. 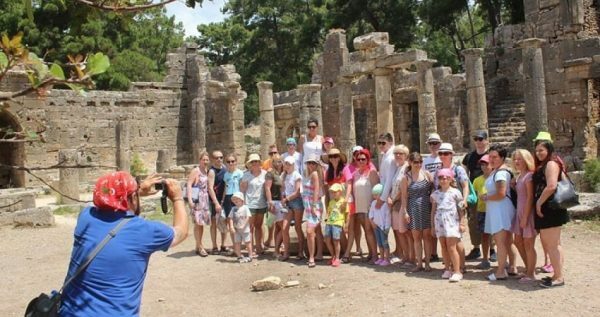 Side Cabrio Safari Tour is an ideal way to explore the skirts of Taurus Mountains and learn more about the culture and history of the place. Amazing nature landscapes and views await you in this full-day adventurous exploration. Side Cabrio Safari starts with a pick up from your hotel during the morning. You will be accompanied by your guide, who is responsible to offer you some important insights about the places that you are going to visit. The first stop of your full-day excursion will be at a local mosque. 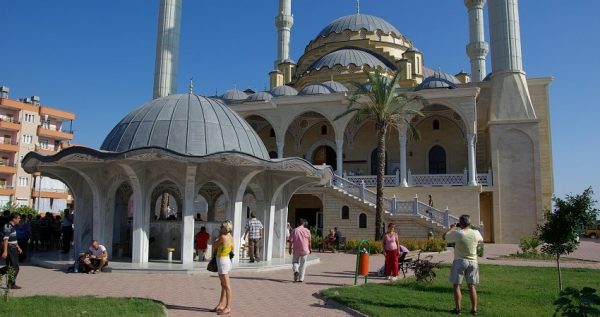 The mosque is located at Manavgat. There, your tour guide will let you know about the religion’s traditions and culture, as well as the history of the place. 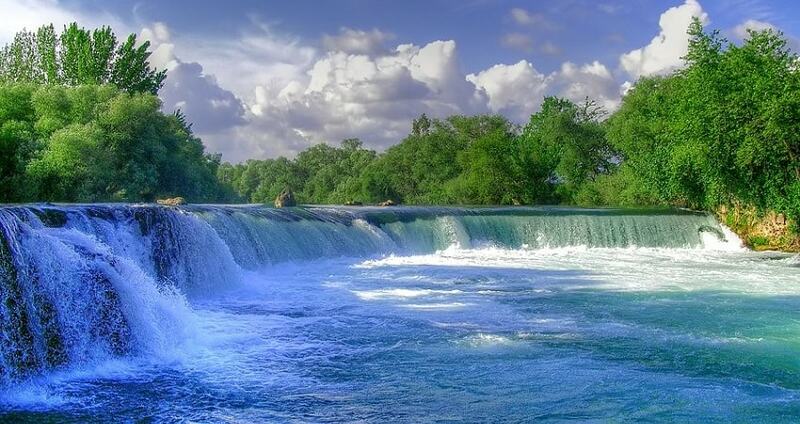 A second stop will be at the famous Manavgat Waterfall. This stop will have an approximate duration of 30 minutes, which is enough time to observe and admire this natural wonder. Manavgat Waterfall is the perfect spot for photo shooting, so feel free to capture the natural beauty of this location. Please note that entrance to the Waterfall has an extra charge. Your countryside exploration continues with an off-road safari. The vehicle will be driving on dusty and wet countryside roads. Be prepared for some major car fights with water and dust and enjoy it at its maximum. The off-road driving will continue until your next stop at a village. 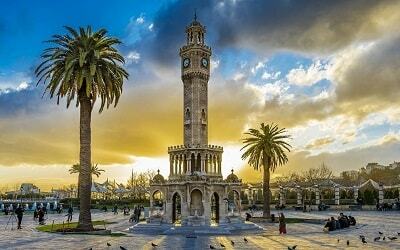 There you will visit a tea garden and you can taste the Turkish pancakes or gözleme. 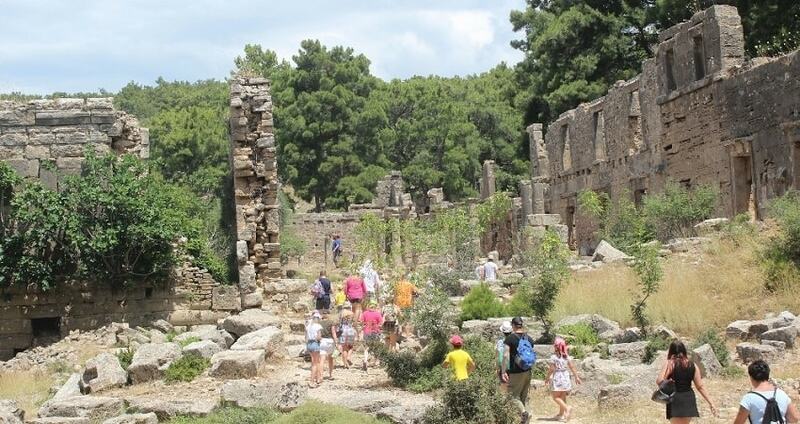 After this short break the Side Cabrio Safari excursion continues towards the Ancient City of Seleukeia. During your stop there, your guide will explain and give you some important hinds about the city’s history. 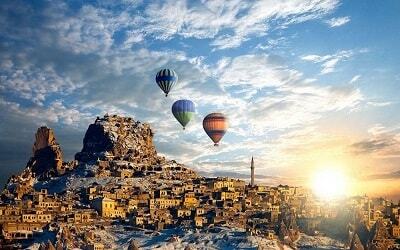 It is a 2500 years old ancient city that is located near Bucakşeyhler village. 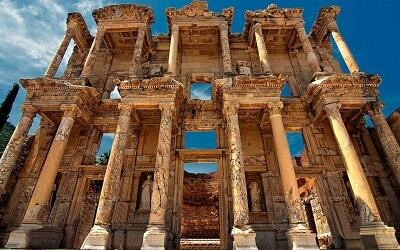 The city is a great example of ancient architectural design. 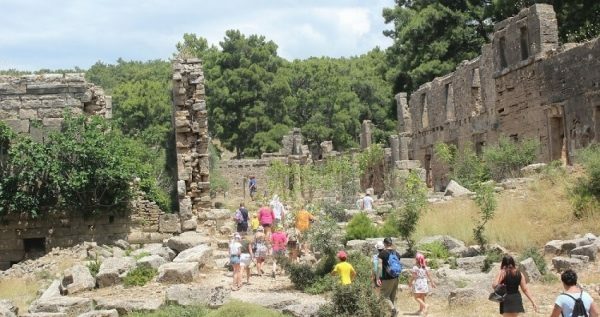 You will be also able to see mosaics from the Hellenistic period. Then, the off-road driving continues and during the route you will have multiple short stops and photo breaks. During these photo breaks you will be able to see and learn information about the 1800-year-old Naras Bridge, Roman Aqueducts and Oymapınar Dam that are dating back to the Roman period. Your next stop is the Green Canyon. At a lake-side local restaurant, lunch will be served that includes grilled fish or chicken or meatballs, rice, pasta, salad and fruits. At Green Canyon and after your lunch, you will have 1hour and 30 minutes of free time. Feel free to swim in the lake or participate in other activities. 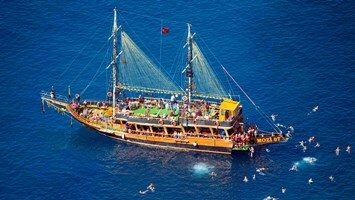 If you wish, you can make use of the restaurant’s complimentary equipment for fishing or kayaking. 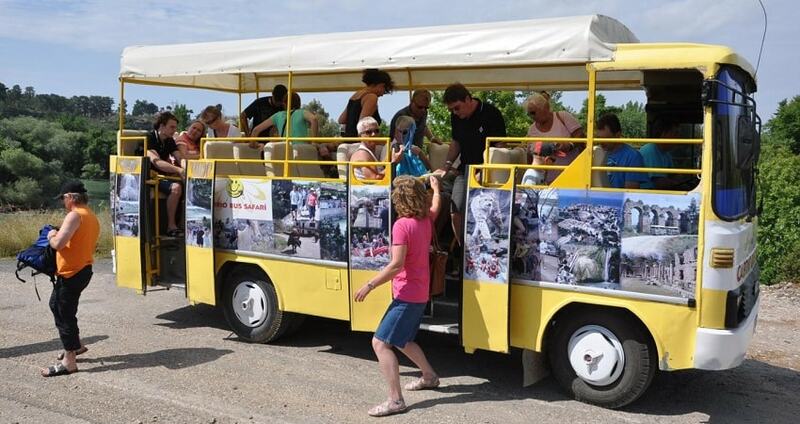 The last stop will be at a mini zoo which is located in the forest. Snap some pictures of rare animals and enjoy the natural setting. The entrance to the mini zoo is at an extra charge. The bus will then continue on your way back to the city. During the afternoon you will return back to your hotel full of new images and with an unforgettable experience of the Side Cabrio Safari.